Local historian and housing specialist, Peter Williams, relates the interesting story behind one of Forest Gate's most prominent land marks: Donald Hunter House. Most Forest Gate residents will be familiar with the tall building at the corner of Woodgrange Road and Romford Road above the Iceland store. Older residents will know it as Telephone House. Newcomers may know it as Donald Hunter House, and it has quite an interesting history. 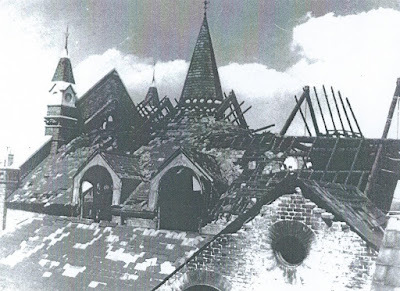 That corner of Forest Gate suffered substantial damage in the Blitz, with the original Victorian Methodist church destroyed by bombs on 17 April 1941. It was replaced in the post war period by the current church. The Princess Alice pub was also destroyed and had to be replaced in 1950s. Council flats were built to replace the Victorian villas of the Woodgrange estate. The council took the opportunity to provide a new public library for Forest gate. 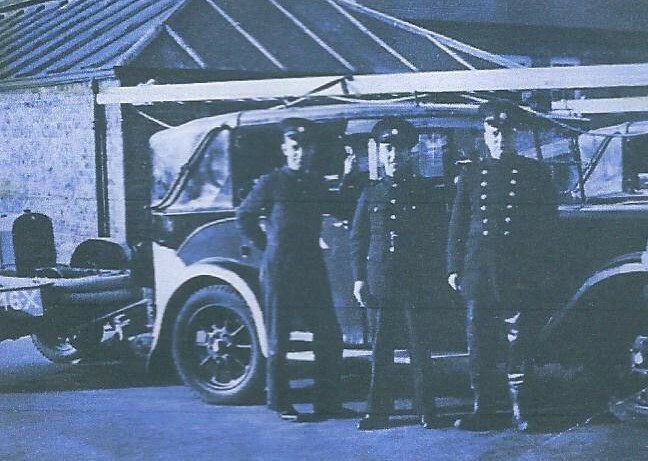 This was at first floor level above the council built shops with an entrance in Claremont Road. 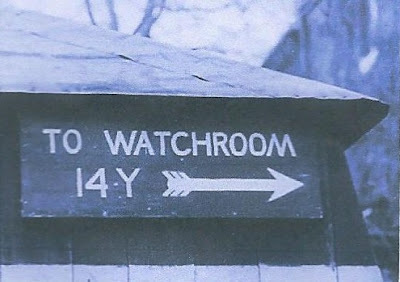 This was replaced in the last 15 years or so and the old library became a training centre run by a local charity. The architects model below commissioned by Newham Council shows the vision for the area from Osborne Road to Romford Road. 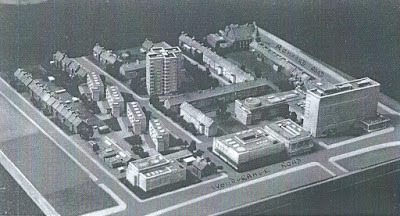 Not all of this was built but Telephone House can be seen to the right, and the low rise shops with library above to the left. The current Forest Gate library occupies the ground floor of what was Telephone House. The library was originally branded The Gate, but has been recently rebranded the CNC or Community Neighbourhood Centre, reflecting the new role libraries have assumed in Newham. The book stock has been reduced and space created for a wide variety of community activities and events. 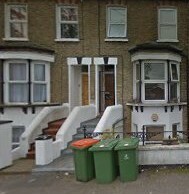 Telephone House, Woodgrange Road, was built in 1958 by what was then the Post Office, that ran both what we think of as post offices, but also Post Office Telephones, the forerunner of what became BT (British Telecommunications) when privatised by Mrs Thatcher. The building was the headquarters of Post Office Telephones for the eastern area of the London. On the ground floor was a Post Office, which later moved across the road into a private shop. There was also a showroom on the ground floor of Telephone House displaying the latest telephone equipment for sale when you could only by your phone (landline) from BT. There was no choice in those days! Around about the year 2000 BT declared the whole building including the tower block redundant as they rationalised their offices. 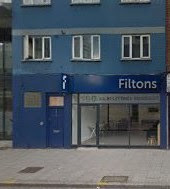 In recent years it has become commonplace to convert old offices into residential (not least because the Cameron government liberalised planning laws to help this happen, developers often no longer need planning permission). But in 2000 it was still relatively rare to convert office to residential. The old Telephone House was bought by a company called Peabody Unite plc with the intention of converting it into housing for keyworkers. There was already a housing crisis in London and people like trainee nurses, social workers and teachers had a desperate need but cheap but accessible accommodation. In the 1980s Newham Council in fact had made some hard to let council flats available for teachers, social workers and other young professionals who they found hard to recruit into the borough to work for them and other public bodies, but by the late 1990s these schemes had come to an end as homeless pressures increased and the council could not spare flats. 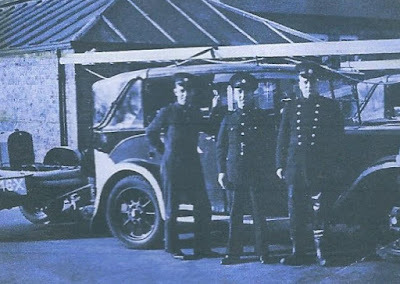 The Metropolitan Police also had small tower blocks of its own to accommodate young constables at Selsdon Road, Upton Park and another one behind East Ham police station, but these were sold off many years ago. The UNITE Group plc, the UK's leading specialist provider of accommodation services for students and key workers, has today announced that its joint venture operation with the Peabody Trust, Peabody Unite, is developing two schemes in London, which will be worth £33.3 million on completion, and will create more than 500 quality, affordable bed spaces for Barts and the London NHS Trust homes workers in Whitechapel and Forest Gate, East London. Quality was always an issue in the building as the faculties were fairly basic with small rooms and shared facilities such as communal kitchens. It was never hugely popular with the NHS staff it was targeted at and Peabody Unite began to market it to a wider audience of keyworkers, and by late 2013 when it closed in that form they were housing some students there. Unite plc (not with Peabody) went on to be a major provider of private sector student housing in London building many new blocks all over central London. Their rents are not cheap, and now they attract a huge number of foreign students with rich parents who can afford their market rents. They have massive new-build schemes in Stratford, notably the thousand home red building with a stepped profile that towers at 28 floors over the Olympic Park behind John Lewis, (called Stratford One and opened in 2014) and the 750 room scheme at the corner of Angel Lane by Stratford tube station opened 2015. 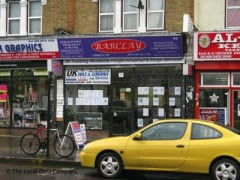 East London has been a success story for them. Donald Hunter House was less of a success and was put up for sale around 2014. On 15th October that year 4-20 Woodgrange Road was acquired by an offshore company Stratos Holdings, Martello Court, Admiral Park, St Peter Port, Guernsey. It is the only property owned by the company in the UK and the holding includes both The Gate library and Iceland stores. So, Newham Council are paying rent to Stratos in order to run a library there. This information is drawn from public Land Registry data that has featured on this site before in an article showing links of Forest Gate properties to tax havens (see here). Stratos was specially created offshore to hold the building but the actual owner are Saudi Arabian oil interests. When it became clear that Forest Gate was to become a beneficiary of the opening of a Crossrail station, Donald Hunter House was snapped by this Saudi company, sensing a good return on the investment would be pretty much guaranteed. The Saudis decided they did not want to demolish and redevelop straight away so they looked round for an interim use. They got in touch with one of a number of private sector companies that have developed over the last decade or so specialising in providing homeless temporary accommodation to London boroughs. London councils have always wanted to try to avoid the use of so called Bed and Breakfast hotels, which in reality are simply another form of private rented accommodation where the council is paying a premium for its immediate availability. Central Government introduced a target a few years ago saying councils must not leave families in B&B for more than 6 weeks, and this forced councils into the hands of a different kind of private landlord, offering short term lets in the private sector at a price below a hotel price but normally above rents for ordinary self contained private accommodation. Often it was the same businessmen involved in both kinds of accommodation. 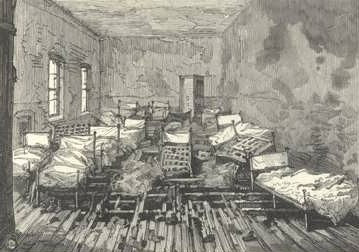 Nevertheless this new style of homeless temporary accommodation was often of a slightly better standard than the traditional B&B with a higher degree of self containment, some being small flats or studios. Councils entered into longer term contracts to secure a better overall price. One such private property company was TANDO who did business with Newham council in Canning Town to put back into use some empty council flats that were awaiting a more comprehensive redevelopment. However they ran into some difficulties there outlined in a story in the Newham Recorder early in 2017. Theori Property Services Ltd has a stated environmental policy that demonstrates a commitment, wherever practical to use environmentally friendly products (such as condensing boilers). They have a waste management strategy designed to deal with refurbishment and build waste. Both the environment policy and waste management strategy will be adopted by TANDO Property Services Ltd.
Donald Hunter House was under the Omega lettings brand and in recent period has been block booked by Tower Hamlets Council for their homeless families. Newham Council had used it briefly in 2014/15 but Tower Hamlets were able to pay a better price due to the quirks of the Housing Benefit system – the rent allowance is higher in Tower Hamlets than Newham. Many of the social care and education costs of these families of course fall on Newham, though some families travel back to their home borough for schooling. Omega operates as a Registered Provider, regulated by a government bod,y but unlike a housing association it makes profits for its shareholders. When it comes to homelessness there is a ‘dog eat dog’ attitude amongst London boroughs as they are all competing for scarce housing resources, and landlords are able to profit from this lack of cooperation in London. London has 32 housing authorities; New York is just 5 boroughs and with a Mayor across the whole city with stronger strategic powers than London’s. In London councils have been forced into the hands of highly profitable property businesses specialising in homeless temporary accommodation due to the lack of affordable supply. Donald Hunter House is held offshore in a tax haven pending re-development by Saudi oil money. It is always a great delight to get feedback on articles that appear on this website - particularly from families of people whose stories are affected. It is even more so, when the responses move the story on a little and add further detail to it. What follows below is an account by one of the great-grandchildren of a resident of the Industrial School on Forest Lane, who was a hero on the night of the tragic fire that killed the 26 boys on the night of New Year's Eve, 1889. We have written of that fire before, see here, here and here. Below is an excerpt from a short essay I wrote about my great-grandfather, for my great grandmother, who mourned his death from 1918, until she died in the mid 1960's. "Charles George Hipkins was born in 1877 in Poplar, to Joseph Hipkins and Sarah Creamer. Joseph was born in the Midlands and by the time Charles was born, he was a boiler maker in London. Unfortunately, he died when Charles was 10 and the family fell apart, with no money and ended up in workhouses and schools for the poor. At the age of 12 Charles Hipkins was a boarder at the Forest Gate District School, – the parish charity school for the poor of the Whitechapel and Poplar Union. 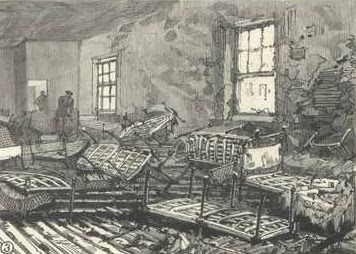 He was there when a fire burnt the building down on the night of the 31 Dec 1889. 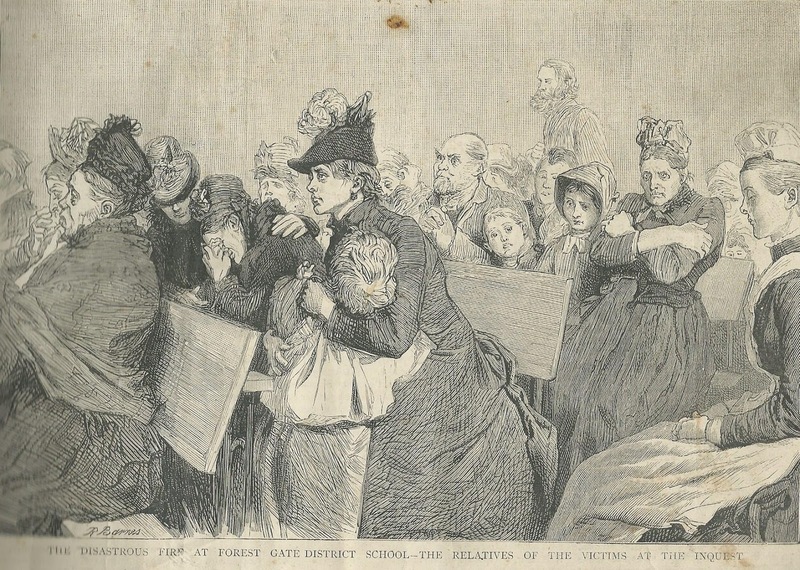 According to the Illustrated London News 26 boys aged between 7 and 12 died and 58 were rescued from 2 locked dormitories. There were 636 children in the school that night. Charles was awarded a Silver Medal from The Royal Society for the Saving of Life from Fire and was given 5 guineas. Only 4 others got this highest award for that incident and they were all adult workers at the school. Already Charles was proving his bravery! The fire in Forest Gate lead to the government taking urgent action. By the 1891 census Charles Hipkins was a Houseboy at ‘The Brigade Institution’, 147-153 Ebury Street, St Georges Square – another charity school. He worked as a coachman and aged 17 he joined the Army Service Corps working as a driver in the 5th Battalion East Surrey ‘Queens’ Regiment. He married Edith Croxson in 1899 in West Ham. How they met, as she was from Kirton in Suffolk, I do not know. They then lived in South Wimbledon and had a son Charles William George Hipkins, in 1900. Just one month before his son was born Charles senior went to South Africa with his Regiment for two years for the 2nd Boer War (where was awarded the South African campaign medal). When he returned Charles and Edith had their second and final child Edith Hipkins (ed: author, Paul Norton's grandmother) in 1903. Charles was working as a house painter when the Great War started and voluntarily re-enlisted ‘for the duration of the war’ on the 29 September 1915. The attached photo shows him in the East Surrey’s uniform proudly showing his Forest Gate and South African Medals. On the back of the photo, he wrote ‘ for mum’. I (ed: Paul Norton) have also researched the others who won awards that night but still cannot find out exactly what Charles did. He was certainly the only boy to be awarded the highest award - the silver medal. The London papers listed all the awardees, they, their status and award are listed, below. 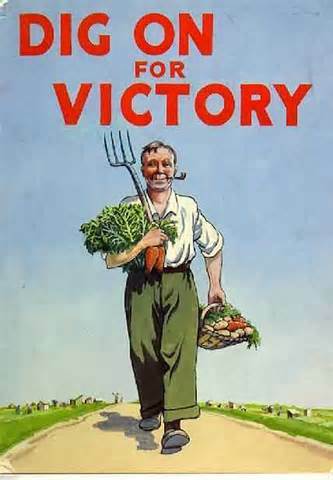 * N.B., Yardsmen slept in the dormitories, with the boys." 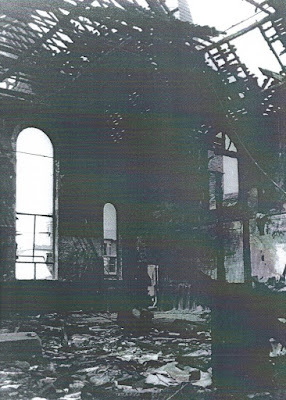 We would like to thank Peter for his contribution, and as ever, would be delighted to hear from other descendants of survivors who could provide further details to the tragic story of the fire and its aftermath for the individuals concerned. 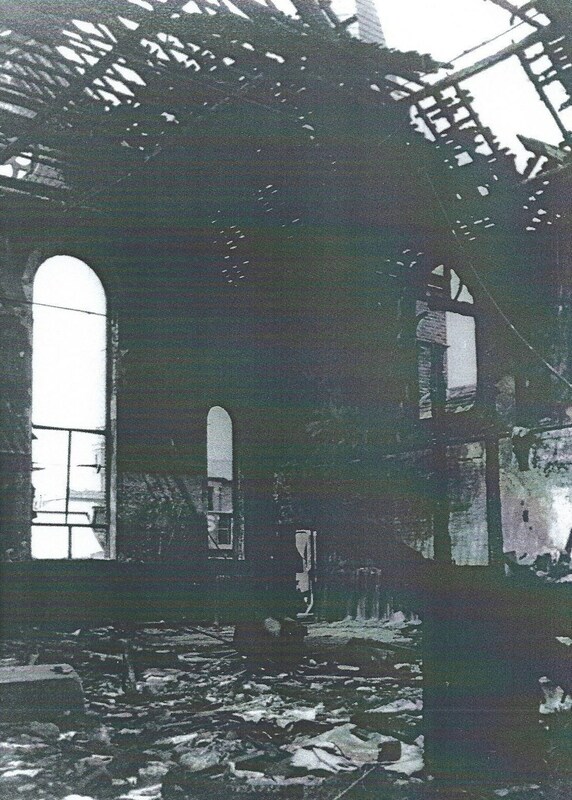 We would be delighted to hear other stories of survivors from the fire that night, or indeed any details of any residents of the Industrial School.